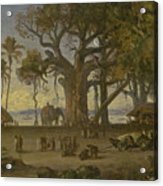 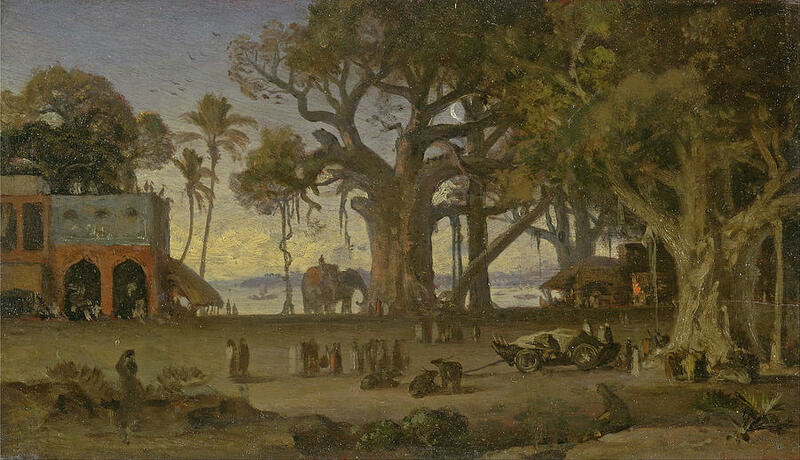 Moonlit Scene Of Indian Figures And Elephants Among Banyan Trees. 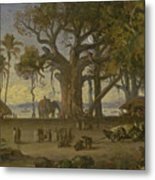 Upper India is a painting by Auguste Borget which was uploaded on July 25th, 2016. 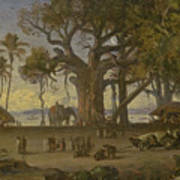 There are no comments for Moonlit Scene Of Indian Figures And Elephants Among Banyan Trees. Upper India. Click here to post the first comment.